Have you ever asked your CEO for investment in a digital project and been denied? Perhaps you’ve got a burning urge to help them learn about digital, but they’re so busy it’s hard to get their attention? Maybe you sense they’re interested to do more with digital, but nervous about how to tackle it? Are you nodding your head as you read this? When I was in-house at a charity for five years, I was frustrated when I was told no. Now, having worked with hundreds of charity leaders, I know that 99% of the time, CEOs are trying to do the right thing. But how can we expect them to make the right choices for digital, if they don’t know what the right thing is? What’s the best way to inspire them and help them recognise the opportunities digital investment could unlock for their organisations? The Charity Digital Code of Practice, which we’ve been working on with The Charity Commission, Office for Civil Society, CAST, Tech Trust, ACEVO and others, aims to help you solve that problem. I’m delighted that CharityComms is an official champion of the code. The Code will help you breach the digital conversation with your CEO. It’s a framework, aimed at charity leaders and trustees, speaking to them in a language that’s familiar to them and setting out what they and their charities should be shooting for in digital. It aspires to develop charities’ digital skills, improve uptake of digital activity in charities, and create a level playing field for all organisations by increasing digital motivation and confidence. The Charity Digital Code of Practice is a really exciting project, which seeks to equip charities with the knowledge they need to effectively communicate the importance of digital to the board and senior leadership. The Code very much supports the digital work and approach we’re already striving to deliver at Breast Cancer Now, and so should give us the confidence that we’re on the right track. Through the Code, we want to make charities more accessible for beneficiaries, create new opportunities for funders to engage with digital and enhance collaboration across the sector. Just to be clear, it’s not a how-to guide, although we are aiming to develop accompanying resources once the final version of the Code is launched at the end of this year. Leadership, leadership, leadership. If there is one thing I would like charities to remember about the Code, it’s that leaders need to be in the driving seat with digital. Leaders have responsibility to set out their vision for where digital could take their charity, and to develop a strategic approach to it. Digital must be part of their skillset. It’s not just for large charities. We’ve included best practice in the Code for small (defined as having a turnover of £1million or under, in line with Small Charities Coalition’s definition) and large organisations. Everyone who is involved in the Code feels strongly that digital is for everyone, regardless of size or budget. It’s all about your users. This isn’t news if you’re working in digital, but all charities need to build everything they do around what your audience wants, and test assumptions against data. Culture is key. A good strategy, a new database or digital services won’t work unless the people behind them are on board. It’s down to your CEO to create the motivation for that. Top tip: they need to engage heads as well as hearts. What’s the business case? What stories can they tell which will persuade people? Could this initiative help your charity support more beneficiaries? Plans are great but they need the right resources. In the Code, we recommend your CEO looks at what they should invest to make your digital plans a reality. Skills are vital. If your CEO only has £500 left to invest in digital they should consider developing the team’s skills. As we say in the Code, charity leaders themselves need to look at how they and the board can learn continuously about digital. Could you offer to create some short, bitesize resources e.g. articles, videos and podcasts they can use on the go? Risk is a complex beast. From having a really clear procurement process (have we really defined the problem we are trying to solve? And how do we know these solutions are value for money? What are the alternatives?) to taking legal advice on contracts and keeping an eye on how ethical issues might affect your charity (think Cambridge Analytica and the Facebook scandal) does your CEO understand the risks they will need to manage in digital? And are they aware that the biggest risk in the digital age can be doing nothing at all? We are really excited to hear what you and your CEO think of the Code. Please do check it out and tell us what you think in the consultation. Together, we can shape the Code and help the sector use digital to increase its impact, grow its skills and be more sustainable. We’re looking for your feedback. Take a look at The Charity Digital Code of Practice and respond to the consultation. 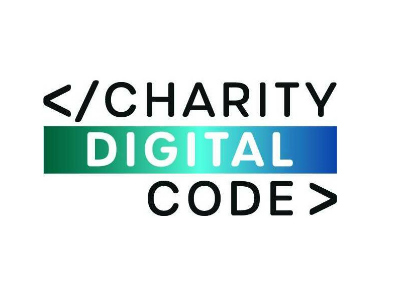 Get involved with the conversation on #CharityDigitalCode.